Things To Do ~ The Island Gondola! 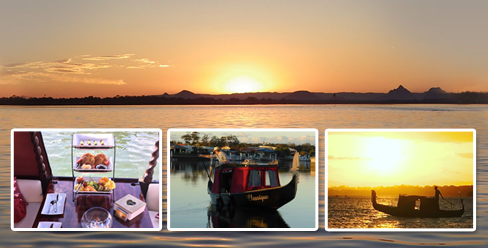 Bookings available on the beautiful Bribie Island Pumicestone Passage! 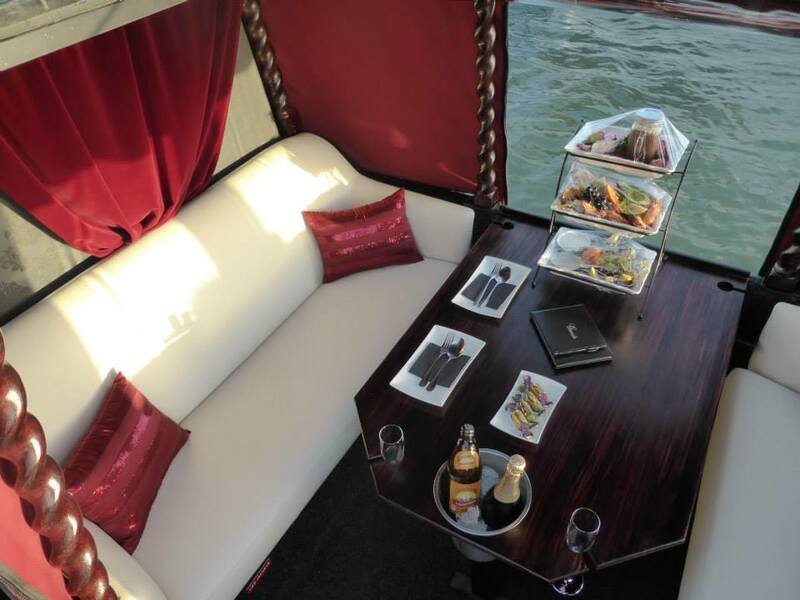 Experience a Luxury Gondola Cruise for leisure, pleasure or a special occasion! Relax and appreciate the beautiful panorama of the Glasshouse Mountains, Bribie Island’s Pumicestone Passage (Marine Park) and Pacific Harbour canals. 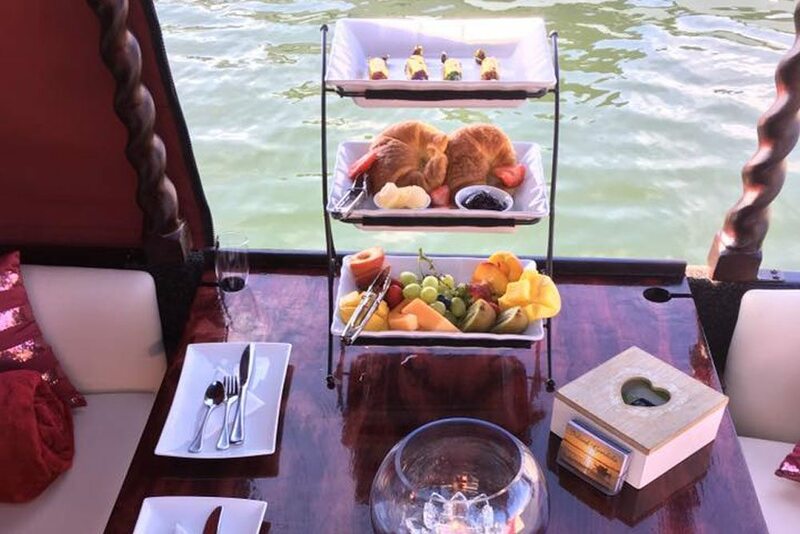 Enjoy a morning, lunchtime, evening or even a romantic sunset experience. Add this to your Things To Do on your Island Getaway! 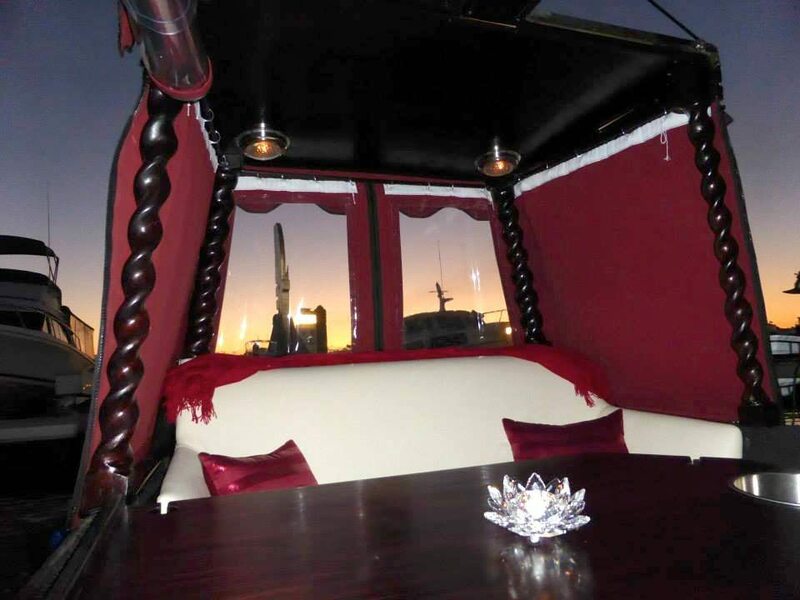 We are available for Reservations from Sunrise to Late – 7 Days a week. 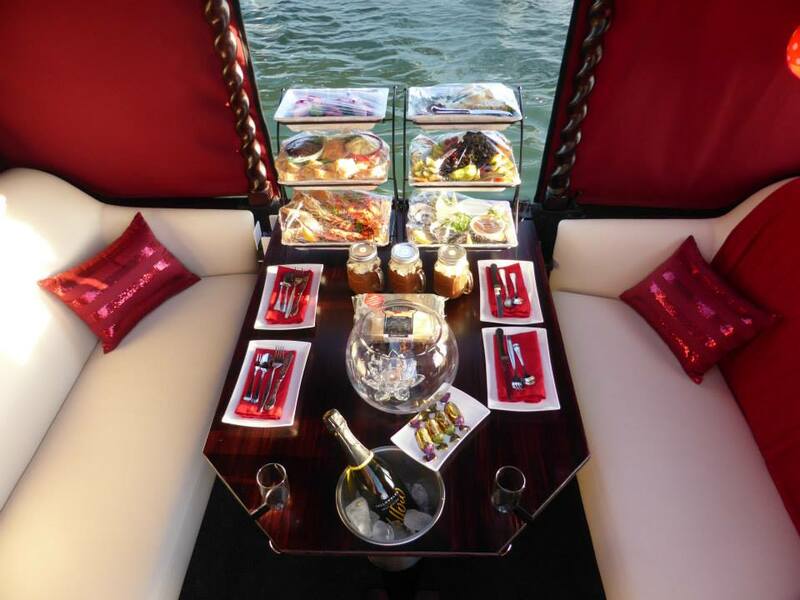 When you Book with Island Gondola, your special time will be exclusively yours. 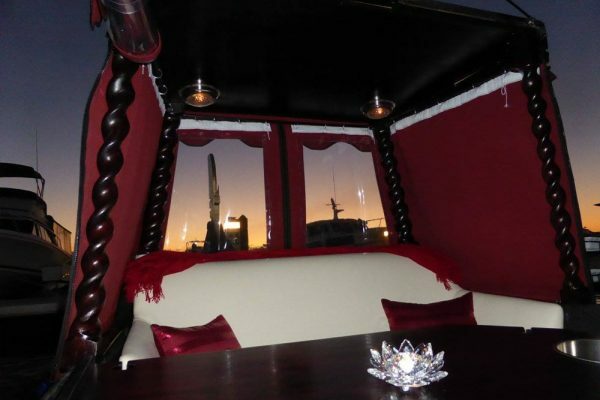 BYO your favourite drink and step aboard for a memory of a lifetime! 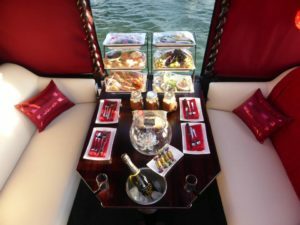 Invite your party of up to 6 guests for a private Dining Experience, or snuggle up to your loved one and enjoy the luxurious Gondola ride together. 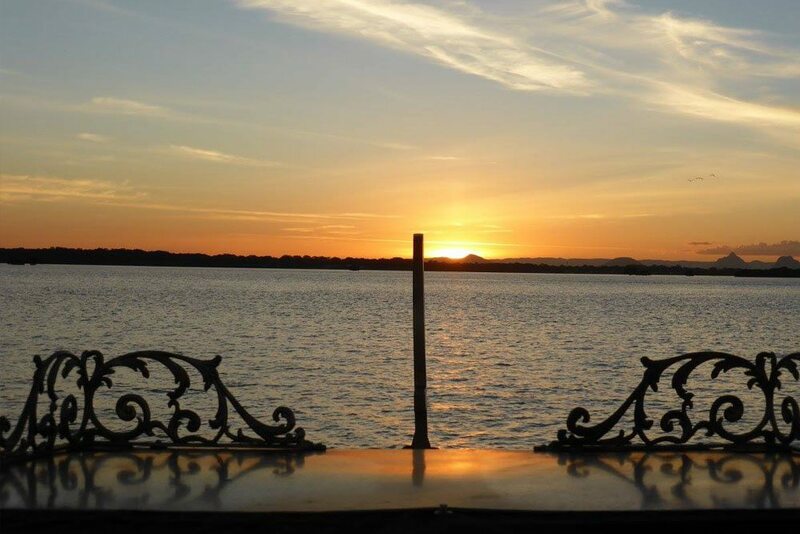 “My Favourite South East Queensland Sunset,” said Jillian Whiting presenter for Channel Seven’s ‘The Great South-East’ travel show. For your Special Day, treat your partner to an unforgettable and truly romantic experience onboard a beautifully restored Venetian style Gondola! 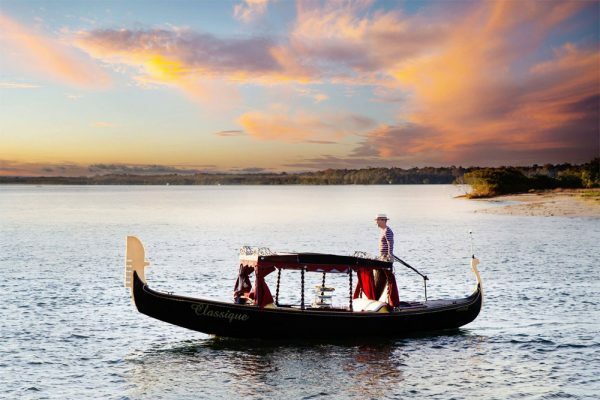 And you don’t have to whisk your beloved partner to Venice for this unique experience, just head one-hour north of Brisbane, to exquisite Bribie Island, and the friendly owners of Bribie Island Gondola, Melanie and Quinn, will make sure your Special Day is memorable for all the right reasons! Valentines day, Birthdays, Anniversary or just for Fun! 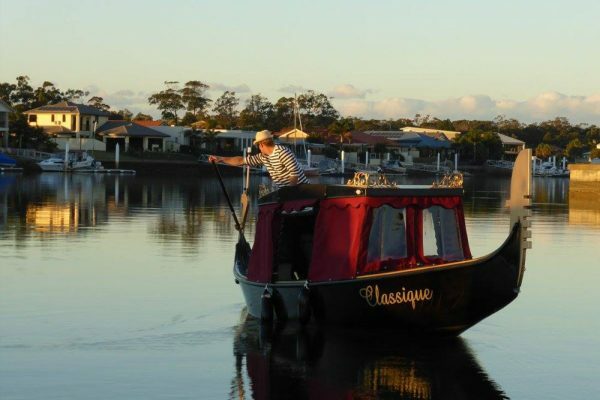 Enjoy a day or night cruise along the beautiful and scenic Pumicestone passage and canals, where you might be lucky enough to see a dolphin or two. 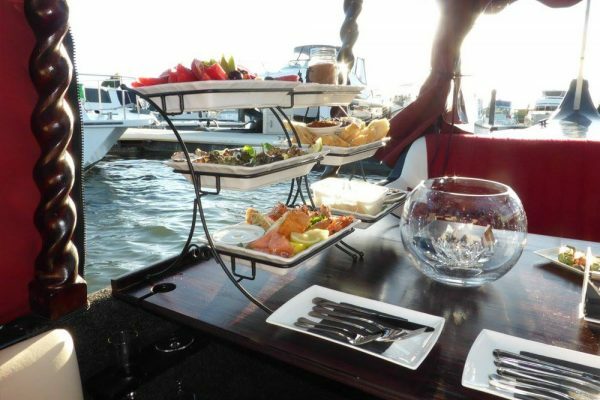 Our Guests commonly see Dolphins nearby and the Bribie waters are just so beautiful. Our gift certificates are valid for 6 months (excluding Valentines week & the 2/3 weeks over Christmas). 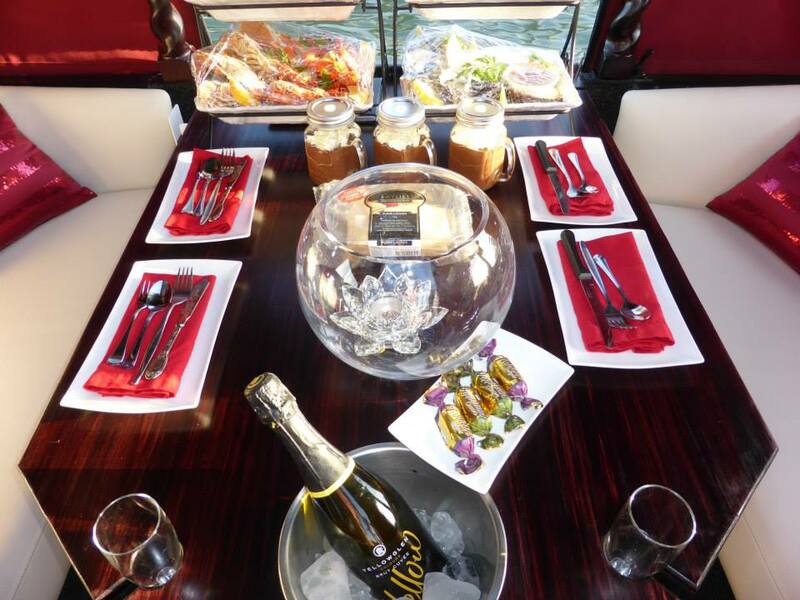 A range of Dining Options can be selected for your cruise, please choose from the Menu page. Please use the Contact Inquiry Form to email. Experience The beauty of Island Gondola for that unforgettable experience!